On the occasion of Quentin Tarantino's 50th birthday—that's today!—the always-awesome Letters Of Note has re-promoted a letter that the director sent to a fan back in 1996. 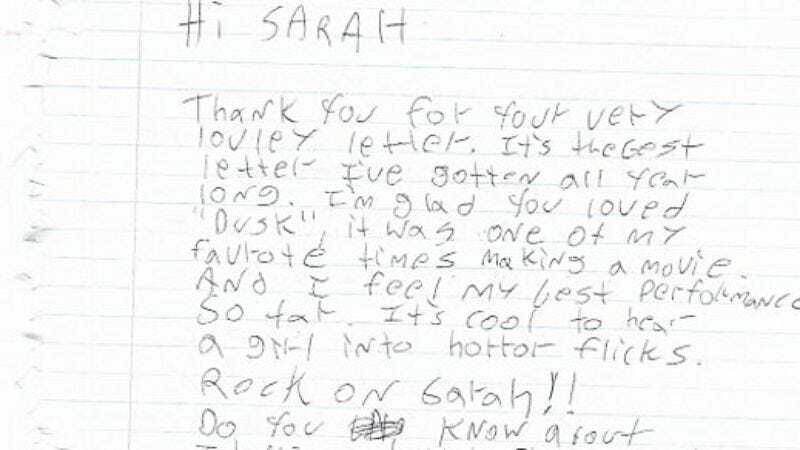 Glancing quickly, you might think that the handwritten note featured on the site is from the 13-year-old fan, but it is in fact from Tarantino to the girl. He encourages her to follow her filmmaking dreams, and to check out "Itallion horror film maker Mario Bava." See the whole thing here.